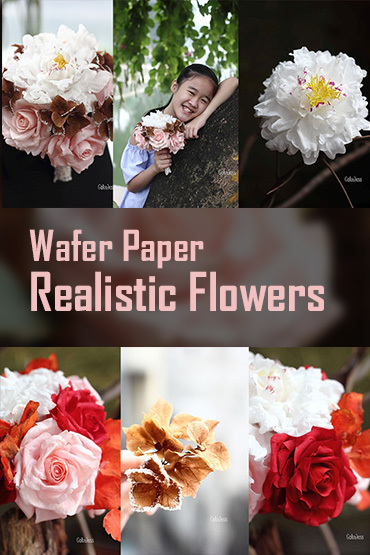 Very detailed instructions in close-ups on how to condition wafer paper without using alcohol, very simple but effective to turn wafer paper into a silky smooth, whiter & very pliable for realistic flowers and all kinds of cake textures you can think of! Quick responses from the instructor. World-renowned cake artist & instructor, Jessica MV has her own method of treating wafer paper to turn it from a fragile, hard-to-use flower medium into something so different: very pliable, soft, smooth & super white; which totally change the nature of what wafer paper appears to be & make it become an interesting medium for realistic, fluffy & soft-looking flowers. 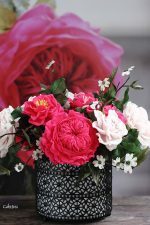 You will learn how to make an open peony, a classic rose, hydrangeas & winter blackberry leaves with all flower techniques you can use on a flower paste from basic to intermediate: from coloring/painting to veining, texturing , shaping & dusting. 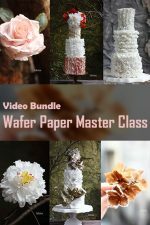 Also, Jessica MV will guide you through 3-tier cake designs with tons of techniques using everything wafer paper from various ruffle styles, rosettes, drapes, braids, vintage textures to sophisticated bow types. 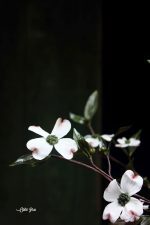 You will find yourselves totally change your viewpoint on wafer paper! 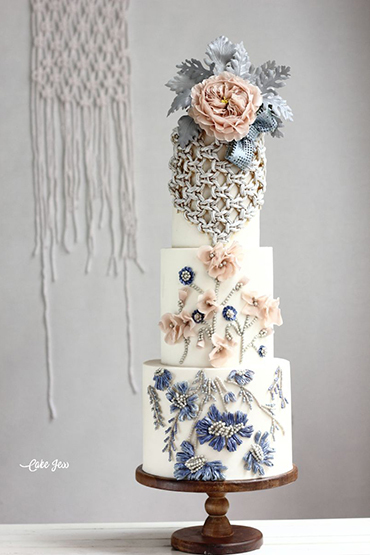 Jessica MV has been known for her artistic wedding cake designs and being the creator of the new floral mediums which are spreading the world via her hands-on classes such as rice paste, bean paste & silk paste. 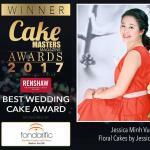 She was the winner of the Best Wedding Cake Award at the prestigious Cake Masters Magazine Awards 2017. 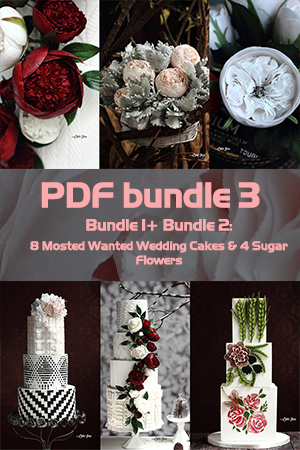 Jessica has been featured in numerous famous cake and wedding magazines, some of which are Cake Central magazine, Cake Masters magazine, American Cake Decorating magazine. She is favored for her unique techniques and skills in cake decorating and edible flower making by international students wherever she comes to teach. 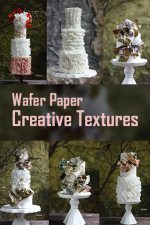 Hi Ms. Jess, would like to know if wafer paper can be attach to buttercream (imbc) covered cakes similar to your petals-covered cake. I’m a bit hesitant if it might slip off. Thank you. 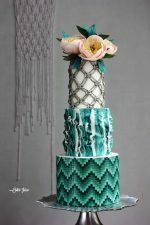 Some items like wafer paper bows can be fixed on buttercream covered cake, but all-over details such as macrames, drapes& rosettes can’t, they may slip off. 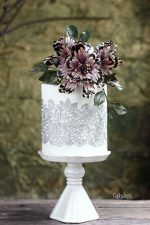 So I highly recommend wafer paper decorations & flowers for fondant cakes. For buttercream cakes, only wafer paper flowers as toppers can stay good for sure. I just purchased this course and am very excited. Wafer paper has hated me thus far so let’s see how it goes hehehee. Will the class be actually uploaded later-I see no content here? the videos will go live in a couple of days. We will send out a newsletter to all who pre-ordered the course when the videos are available to watch. Hi. I ha e pre ordered the video bundle. Are they available to watch yet? Yes, all are ready! You can log in & go to “Library”, click on the course to watch! For security reasons, the videos can’t be downloaded. You can only watch them online. Yes, it’s always available. Perhaps the payment gateway was pending at the time you checked out. You can try later. You need to click on the arrows above the video on “Search” tab, then scroll down on the list of lessons, the material worksheets are at the bottom. Thanks for joining the the class. Hi, Before I purchase the lesson, may I know if the recipe used are vegan? no egg, no dairy or animal-derived product? Sure. I use nothing related to all that you mentioned. © 2018 CakeJess - Design your cakes, style up your taste.